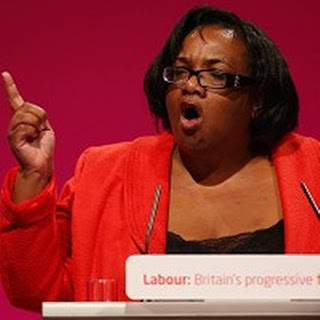 Overweight Shadow Minister for Public Health, Diane Abbott: "I think it's quite shocking that McDonald's, Coca-Cola, Cadbury's, and Heineken are the main food sponsors [for the Olympics]". This gross woman has decided that she is fit to lecture us all on our health: Chris Snowden disagrees in a fisking of yet another article by an example of the greatest threat to human freedom—a doctor. Chris is right. Abbott is fat. Doctors are evil. It doesn't strike me as shocking. Rather, it is obvious that this is the kind of company which might think it is worth having their product plastered with Olympic logos since they believe they have paid for a world-wide audience for their logo. I would go a long way to make sure that no olympic logo with its deep-grained corruption sullied my branded candyfloss or whatever. Does Diane understand that it is CocaCola who pay the money to the IOC, not a question of 'allowing' them to be sponsors, that's just a fancy word for buying advertising space. So a diet of rice and peas ain't so healthy after all.